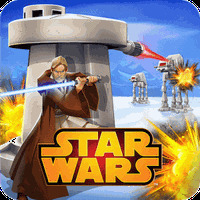 Star Wars ™: Galactic Defense Android - Free Download Star Wars ™: Galactic Defense App - DeNA Corp.
"Choose your allegiance and put your skills to the test!" 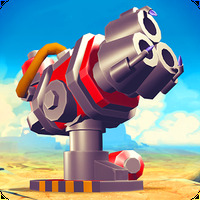 Game Goal: It is a tower defense game where you have to prevent enemies from penetrating your defenses. How to play: You can choose to help the Empire or play as the rebels, whenever you destroy enemies you get points that improve your defense towers and make them more powerful as your enemies will become more resilient. Graphics: It has simple graphics but well made, that are high-quality, inspired by the world of Star Wars. Sound: Has great variety of audio for animations reminiscent of movies like the music. Developer: DeNA Corp.	- One of the most prominent developers on Android Market. Installation requirements: A minimum of 18.87 MB of free memory space and Android 2.3 or higher. 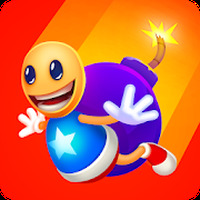 Ranking: The TOP 5 Most downloaded games in Tower Defense Games category. System simple and addictive game. All characters and scenarios are inspired by Star Wars. Ideal for lovers of strategy. The improvements are very costly. Do you like Star Wars ™: Galactic Defense?